Posted on Friday, April 12th, 2019 at 2:40 pm. How, oh how do we achieve those V-cut abs? This much-coveted shape is the ultimate symbol of health, fitness, low body fat, and a strong core — so we’re not surprised that so many people think of it as their ultimate fitness goal. Achieving strong obliques may be a bit difficult, but with the right ab workouts, we can help you get a little bit closer to a sleek, swimmer’s core. In the simplest terms, the obliques are our side ab muscles. But technically, they’re two sets of muscle fibers that run perpendicular to each other from the ribs to the hips. They’re integral to our ability to breathe, move from side to side, and turn our torso. Ready to learn how to get those V-cut abs with the best oblique exercises? Let’s go. This amazing oblique exercise is a bit of a balancing act, but you’ll really feel the burn in your obliques if it’s done right. Get into a low side plank position on your left (elbow on the ground), option to leave the knee of the bottom leg on the floor to decrease the intensity. Repeat on the other side, then do 2 more rounds on each side. There are ins and outs to oblique exercises, but this one is worth it for the burn. Just remember to keep your back straight to engage your core! 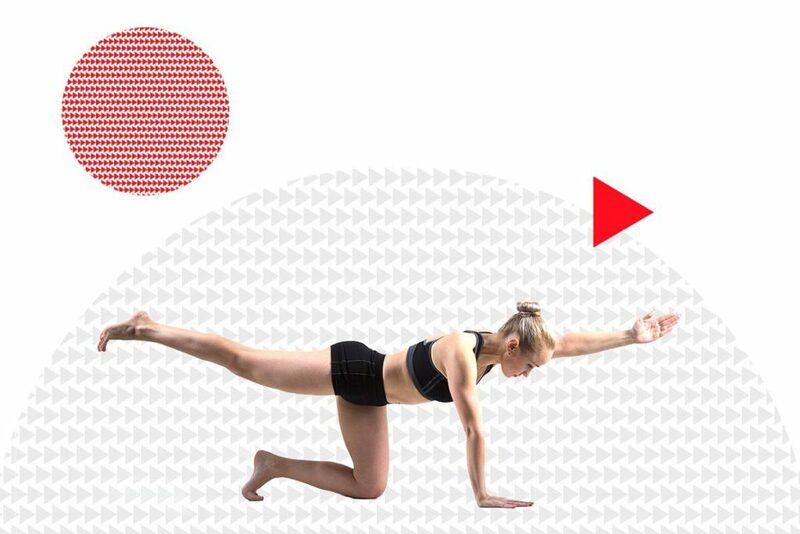 The most killer oblique exercises are the ones that build endurance and strength — kind of like this classic exercise, the bird dog. This upper body workout with a twist (literally) works the obliques like nothing else. Rest for 30 seconds, then repeat the reps 2 more times. The overhead press offers effective resistance training that’s amazing for building both arm and core strength. Really, the best thing you can do to achieve V-cut abs is to stick to a healthy diet and a regular fitness regimen. Our physiques, genetics, and body fat content play an important role in how our abs look, so it’s important that you focus more on eating right and achieving strong obliques. And of course, we can help you get there – if you want access to some amazing fat-torching workouts, sign up for our 7-Day Free Trial. At Studio SWEAT OnDemand, you’ll find amazing virtual workouts ranging from Spin, TRX, HIIT, Bootcamp, Yoga, and more. Best of all, you can stream them anytime, anywhere.